Next > More Popular than Ever? Beards and Masculinity in History. 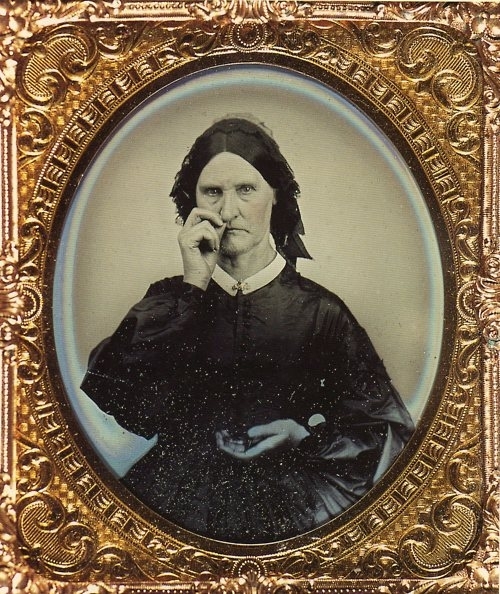 The photo of the woman using snuff in the mid-19th century is spectacular. Thank you for showing it to me. 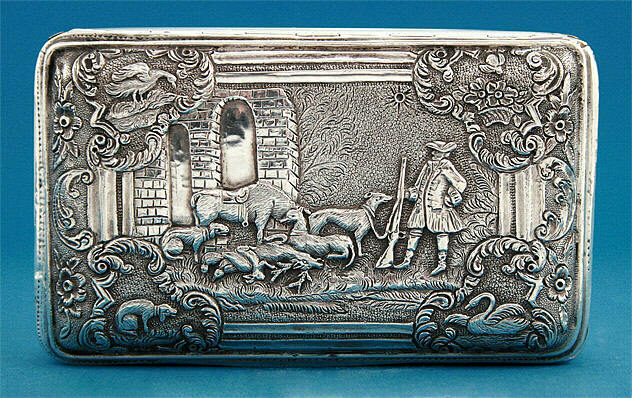 Thanks so much for your kind reply, and great stories about Tennessee snuff – brilliant to hear! it is still widely used in Pakistan especially among Pukhtoon population in Pakistan and Afghanistan. Very kind – thank you. I didn’t realise it was still so much in use! 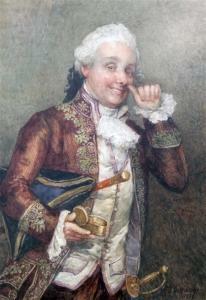 Snuff is very much still in use, and its adherents are a keen and articulate bunch. A forum called Snuffhouse will give a sense of this enthusiasm. 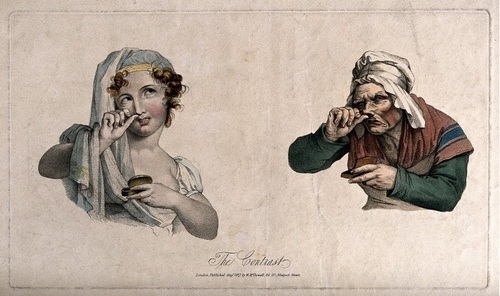 I’ve read of one case of cancer attributed to snuff, in an unfortunate gentleman who, for reasons best known to himself, introduced the substance into his ear over a period of many years. If there are, indeed, any other authentic cases of malignancy which can be attributed to snuff use, they should be brought to public attention. It seems a much better way to use tobacco than smoking it, as no combustion products or tar are produced, and there are no secondary effects on anyone in whose company it is used. This seems to be recognised by H.M. Government, who refrain from levying any excise duty on it, and simply insist on tins carrying a health warning. I intend to continue using it. I have no wish to live for ever, but would prefer my remaining years to afford me some pleasure.